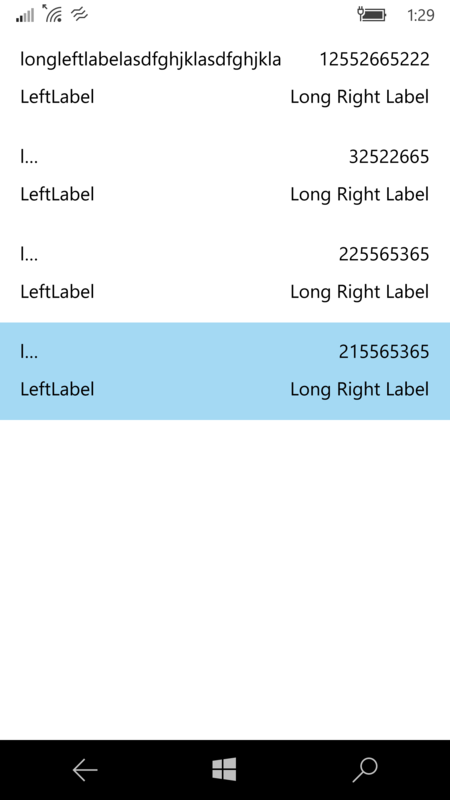 I believe I am experiencing a bug on UWP with Xamarin Forms. 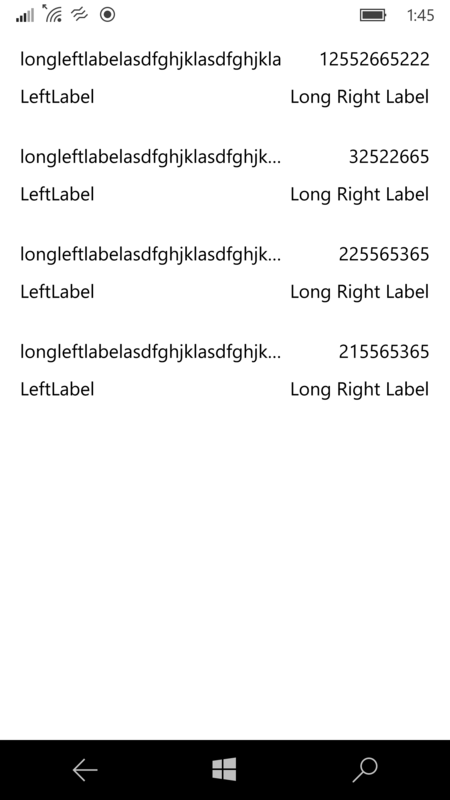 Setting LineBreakMode to TailTruncation doesn't seem to work correctly on UWP. This <http://i.imgur.com/0JaI0rv.png> is what a simple listview looks like with long text set to TailTruncation. It instantly truncates without consideration for what space it has. If you rotate the device, this<http://i.imgur.com/VjPvPIO.png> is what happens, it extends the text as far as it can and truncates, but doesn't add an ellipse. 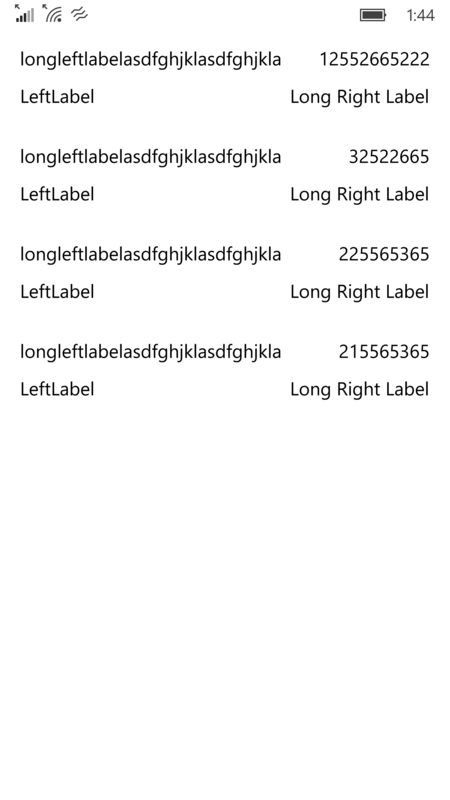 And I need to set the minimum in GetDesiredSize, I guess this forces it do a size calculation and displays the label correctly, this <http://i.imgur.com/r68HhUT.png> is what it looks like. But it has the same issue where if I rotate, it will truncate, but won't show the ellipse. This bug is *not* a duplicate of 42559. 42559 is about wrapping text, not truncating it. What is the progress on this? We are in need of this functionality.